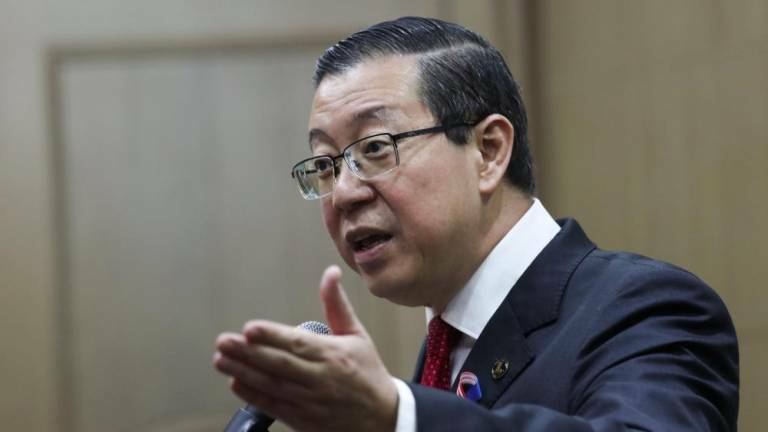 Finance Minister Lim Guan Eng acknowledged that positive outcomes that are beneficial to the people are what mattered most, and it is the government’s duty to ensure Malaysians feel they made the right choice of booting out Barisan Nasional (BN). “Malaysians must feel they made the right decision of changing the government. And that choice is only correct when they feel that not only has life gotten better under the new PH government, but their children has brighter futures. “If we are unable to make the people feel that, then we are in trouble,“ he told Malaysian diaspora in Washington DC, United States in a meet-up on Saturday. To do this, Lim said the country’s economic policies, fiscal consolidation, institutional reforms and clean governance must be able to be people-centric and were able to generate growth, create jobs, and improve incomes and purchasing power. “It is by setting out the foundation right that can we take back our place as the Asian Tiger,“ he said, noting the government’s vision to turn the country into an economic powerhouse it once was. Lim pointed out that Malaysia used to compete with the likes of South Korea and Singapore, but that this has changed in recent years, with it having even to worry about being overtaken by countries like the Philippines and Vietnam. He said this (becoming an Asian Tiger) could be achieved through institutional reforms and subsequently building the industry of the future by embracing the fourth industrial revolution (IR 4.0). “Malaysia can no longer grow by building more and more mega projects. We have come to the point that the quality, and not just the rate of growth, matters. “These institutional reforms will help raise our growth quality and make it inclusive so that everyone has a rightful place under the Malaysian sun,“ he said. In his address, Lim also noted the criticisms that have been levelled at the government for being slow in fulfilling its election promises, but pointed out that it has indeed implemented a number of major reforms, including cleaning government-linked companies from political interference. He also cited the government’s move to “half the price and double the speed” of broadband, instituting open tender system to curb power abuse and corruption, and giving greater freedom to the media as examples of its reforms. In addition, Lim said the government also managed do some “clean-ups” involving, among others, the 1Malaysia Development Berhad, Tabung Haji and Felda, while also cutting significant fat from various public projects like the Mass Rapid Transit 2 (MRT2) and Light Rail Transit 3 (LRT3). “The Malaysia we inherited from the previous administration is broken. Yes, the country over the years has had its successes and some of the achievements are to be proud of. But we have hit a frustrating ceiling. “For a long time, we had lived in our shadow and mired in various scandals that consumed us from the inside. We needed to move on from those scandals and it is the job of this government to do that,“ he said.